The Chicago Bears will kick off the NFL’s 100th season hosting their biggest rivals – the Green Bay Packers, the league announced Monday. The game, set for 7:20 p.m. CT on Sept. 5 at Soldier Field, will on air NBC and will mark the 199th meeting between the Bears and Packers. Hans Schroeder, executive vice president and chief operating officer of NFL Media made the announcement at the league’s annual meeting in Phoenix. 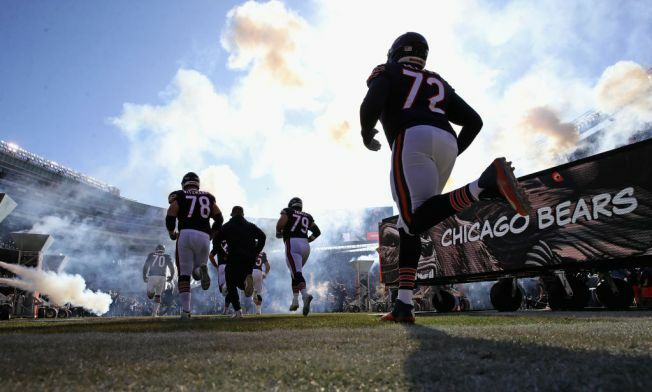 The game will mark the first time in franchise history the Bears have opened the NFL season on Thursday Night Football. The last time the Bears and the Packers met at night at Soldier Field was 2010. The Monday night game ended in a 20-17 Bears victory. The Bears-Packers rivalry is the oldest in the NFL and dates back to 1921, the team said. Last season, Chicago dropped a 24-23 decision in Week 1 at Lambeau Field but defeated the Packers in Week 15 at Soldier Field 24-17. That same victory marked their NFC North division championship. The last time the Bears and Packers met in Week 1 for consecutive seasons was 1980 and 1981. The Super Bowl champion New England Patriots will also raise their banner on NBC in Sunday Night Football on Sept. 8, Schroeder said.